I recently looked up the definition of "mother" in Webster’s New World Dictionary. I learned that part of the definition includes "nurturer of something", and "to care for as a mother does." This probably seems strange since everyone knows the definition of the word "mother". 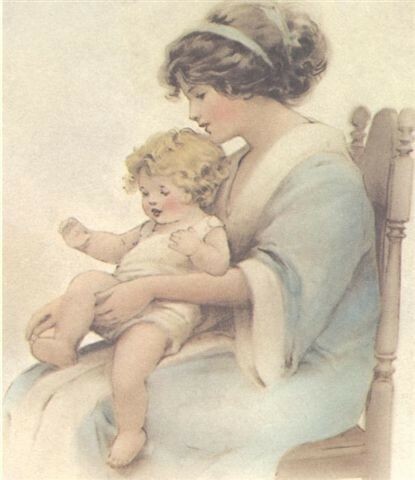 But what I really hoped to find, but knew that the answer would not be in the Webster’s New World Dictionary, was how the term "a good mother" would be defined. I’m sure the answer to that would depend on who you were talking to. My curiosity about the meaning of this term recently took me into the home of a quite attractive mother who has raised four children practically by herself. Her attractiveness is such she could pass for a sister to her daughters. But when the youngest of her four children was only seven years old, her husband came to her with news that he had found someone else. She was living in another state at the time, the home she had shared with her husband was provided by the church where he was the minister, so she was faced with finding a place to live for herself and the children. She moved her family to this area, and after searching for a place to live that she might be able to afford, found a house that appeared to not have been lived in for some time. She inquired about who owned the house and after locating the owner, he offered to fix the home up and allowed her and the children to live there rent free if they in turn would take care of the place and check on his cattle from time to time. The little family settled in and the mother found a job in a nearby factory where she worked third shift which allowed her to be home during the day. The children were all home schooled and have grown up to be exceptional ones. There may have been a few problems along the way that were not terribly difficult to get through as far as raising children is concerned, but she encountered no major problems as far as drug use and alcohol is concerned. To me, this in itself is quite an accomplishment. There are very few families I know of that haven’t been touched in one way or another by a family member’s use of drugs and alcohol. I have only met this mother on one occasion, and did so because of my acquaintance with one of her daughters, and the friendship I have formed with that daughter is something I hold dear to my heart. And it was because this particular daughter, and the fact that for the still young age she is, she has her head squarely fixed on her shoulders, is a completely reliable and dependable young woman, someone I know I could count on to help me in any way she could. So I couldn’t help but ask myself "what’s the difference in this mother and myself?". All by herself, she has accomplished a very difficult task of raising four children in a day where the ways of world lure a good percentage of young people away from what they’ve been taught at home and in churches also. It’s obvious that she fulfills the definition of a "nurturer" and that she has "cared for as a mother does", but she has done so with such success. I suppose I’ll never really know what the difference in this mother and myself is, but I want her to know I feel she deserves every reward she gets from having accomplished what I consider the hardest job there is. To say she’s done well doesn’t really describe how I feel about her parenting. I also want her to know that as her daughter goes away to college, I will miss that daughter terribly, and my best wishes for this young lady go with her. I know that my friendship with her will not end because she is moving away, and I will make every effort to stay in touch with her through the coming years. She’s been a wonderful addition in my life and I’ll treasure knowing her always. I know great things lie ahead for my young friend and I plan to share as much of her life as possible, even though distance may lie between the two of us. Through this friend, I see how things could have been and it eases the pain somewhat that I feel in dealing with unhappy experiences I’ve encountered while trying to be a good mother.